Every glamorous property needs a fence. It might look like a flimsy wall of defense against burglars, but it adds to the curb appeal of your property because it makes it look traditional and homey. In fact, plenty of properties have increased their value by constructing a homely and tidy fence. 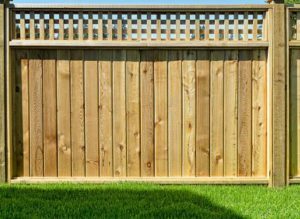 If you’ve invested well on your fence, give it the defense it needs against weathering, insects, and other dangers to preserve its lifespan and ensure its durability. StormPros has trained and experienced fence staining service teams capable of prolonging the lifespan and durability of the entirety of your fence. Call us today for a FREE quote on Allen Texas fence staining services. After a massive rainstorm, it’s not just your roof facing problems. Moisture will seep inside uncoated fences. Professional staining with specialty fence-defense paints will create a barrier between the wooden material of the fence and moisture. Specialty paint does not only protect the fence. In addition, it adds to the curb appeal of your property. 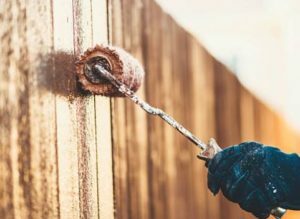 With different types of protective coats to choose from, the paint will effectively extend the lifespan of the fence and give you an enviable property. Yards and landscapes are beautiful to look at. 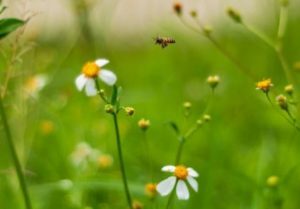 However, homeowners are unlikely to prevent all types of insects from eating at the material. In addition to their damaging activity, fences deteriorate and rot faster without protection against the weather and insects. Fence staining helps defend the fence against these natural forces. Why Choose StormPros For Fence Staining Services in Allen Texas? StormPros has well-educated and experienced teams with continuous training to keep up with state-of-the-art methods and equipment to provide our clients the best possible home service experience possible. StormPros takes pride in its work. We explain the entire process to our clients. In addition, we adapt to every situation by providing the right solutions for every problem we encounter. We make sure our teams follow our code of having a clear worksite with concern over the homeowners’ properties in every project. We make sure not one of your indoor or outdoor properties will receive any damage from our projects. Know more about what we can do for your home by calling us today for a free quote: 214-227-2763.